Originally published in Journal of Creation 15, no 1 (April 2001): 26-33. Homology involves the theory that macroevolutionary relationships can be proven by the similarity in the anatomy and physiology of different animals. Since Darwin, homology has been cited in textbooks as a major proof for evolution. A review of the literature on homology indicates that the theory does not provide evidence for evolutionary naturalism, and that the common examples of homology can be better explained by Creation. Furthermore, increased knowledge about the genetic and molecular basis of life has revealed many major exceptions and contradictions to the theory which, as a result, have largely negated homology as a proof of evolution. Extensive comparisons of skeletons, muscles, nerves, body organs, cell ultrastructure and biochemistry of different animal kinds have confirmed that a great deal of similarity exists in both their structure and function. By arranging or classifying large sets of anatomical structures according to the similarity of selected traits, evolutionary naturalists have attempted to demonstrate evidence for a long, gradual line of progressive animal changes terminating in the highest organism yet, humans. Evolutionists then argue that these comparisons prove the concept that all life evolved from a hypothetical ‘common ancestor’ protocell that they believe lived about 3.5 billion years ago. A much more recent quote illustrates how this line of reasoning is still being used today to argue that the evidence of homology for the common ancestry of all life is ‘very strong’. That some similarity exists when certain aspects of life forms are compared is obvious. The question is: ‘Does the similarity that exists prove that one structure evolved into another and, ultimately, that the complex evolved from the simple?’ The simplest and most obvious explanation for the fact that morphological similarities between bones, sensory organs, lungs, or gills exist among most higher animals is that the requirements of life are similar for similar living things, and some designs are preferred in constructing animals because these designs are superior to competing designs. All automobile, bicycle and pushcart tyres are round because this design is superior for the function of most tyres. A tyre homology does not prove common descent, but common design by engineers throughout history because of the superiority of the round structure for rolling. Likewise, most vertebrate kidneys are similar structurally because they have a similar physiological role in the body and consequently must be similar in both structure and function. In other words, if a design similarity supports evolutionary assumptions, it is listed as an homology and is accepted as evidence for evolution. Conversely, if a design similarity does not support evolution, it is called analogy, and the conclusion is drawn that the similarity exists because a certain design is highly functional for a specific body part, and not because of a common ancestor. Many analogous structures are assumed to exist due to convergent evolution, which is defined as the separate evolution of similar structures because of similar environmental demands.17 Convergent evolution also is used to explain similar structures that have formed from different embryo structures or precursors. Although many similarities exist in almost all animal structures, structural variations are the norm. Often the variations found in the animal world seem to exist solely to produce variety, and not for the purpose of conferring a survival advantage. Attached earlobes: The allele for free earlobes is dominant to the recessive a allele for attached earlobes. Tongue rolling: The R allele enables one to roll their tongue into a U shape and is dominant to the r allele (these persons lack this ability). Hitchhiker’s thumb: People who can bend the last joint of their thumb back to an angle of 60 degrees or more have the recessive allele h and those who cannot have the dominant allele, H.
Bent little finger: A person with the dominant allele B can lay their hands flat on a table and while relaxed are able to bend the last joint of the little finger toward the fourth finger. Those with the recessive allele b cannot do this. Interlacing fingers: People with the C allele can cross their left thumb over their right thumb when they interlace their fingers. The C allele is dominant over the c allele, which results in the person normally crossing their right thumb over their left. PTC tasting: Those with this the dominant allele T trait can detect a bitter taste in paper impregnated with phenylthiocarbamide (PTC) when they chew on it for a few seconds. Those persons with the recessive allele cannot taste this chemical. To argue for macroevolution via comparisons according to ‘complexity’ judgments also is problematic because an enormous number of exceptions exist. The comparative anatomy argument fails completely when an attempt is made to trace all living forms of life (and even fossils) back to their postulated universal common ancestor(s). Few skeleton, muscle and brain counterparts exist in single-celled animals (or in many developmental stages afterward). Design constraints severely limit the possible variations in an animal’s anatomy, and excess deviation from the ideal can interfere with the animal’s ability to survive. No biological or logical requirement exists to vary the design of bones, muscles and nerves needlessly in every living form beyond what is necessary to adapt the animal to its environment. Although variety is universal in the natural world, variety that interferes with the life process or an animal’s survival usually is avoided in animal design. Design constraints severely limit the possible variations in an animal’s anatomy, and excess deviation from the ideal can interfere with the animal’s ability to survive. A major problem with homology theory is that many structures appear similar superficially yet differ significantly in such areas as anatomy, physiology, etc. Since such examples are not explained easily by homology, evolutionists have hypothesized an explanation for this problem called convergent evolution, which attempts to explain the analogy found. One of the most common examples of convergent evolution is wing evolution. Wings are believed to have evolved a minimum of four times; in birds, bats (in the order chiroptera), insects and reptiles (such as the pterodactyl). Scientists have also concluded that bird wings did not evolve from fly wings for several reasons. The main one is that no evidence of insects evolving into birds (or any other animal) exists in the many insect impressions in stone, or the many examples of insects in amber, that have been discovered. Consequently, although the evolutionary progenitors of birds are highly debated among evolutionists, insects are not considered likely candidates. The most common theory of bird evolution suggests that they evolved from dinosaurs or other reptiles. Thus, the wings of birds and insects are labeled not as homologous, but analogous, because powerful evidence refutes the idea that birds evolved directly from insects. This is one of many examples that evolutionists claim does not falsify homology theory because it was caused by convergent evolution. However, no evidence exists to support the convergent evolution theory though. A classic example of convergent evolution is the Tasmanian Tiger (a marsupial native to Australia) and members of the dog family (which are all mammals). The two animals appear remarkably alike physically, but geographical separation and evidence from the fossil record militates against the idea that one evolved from the other or both evolved from a recent common ancestor. For this reason, it has been proposed that they evolved independently into two animals that are so close in physical appearance that a close look at the two animals is required to tell them apart! The suggestion that two animals which look remarkably alike (such as the dog and Tasmanian Tiger) evolved independently is not tenable and is a major problem for evolution. Another branch of comparative anatomy studies structures in humans (and other so called ‘higher’ forms of life) that were believed by evolutionists to be the remains of structures that were required or useful in ‘lower’, less evolved and less complex ancestral forms, but that now no longer are necessary. In this case, the homologous organ in the more advanced animal is less developed, or even deemed useless. Such homologous structures or organs are referred to as vestigial, with most examples being assumed remnants that resulted from the loss of an earlier, better developed structure. Evolutionists used to proudly point to over a hundred such structures in humans, but the number has decreased consistently as anatomical knowledge has increased. Evolutionists used to proudly point to over a hundred [vestigial] structures in humans, but the number has decreased consistently as anatomical knowledge has increased. Moreover, if some vestigial organs can be proven to exist, they provide support not for evolution, but for de-evolution—i.e. evolution-in-reverse. What the evolutionists must demonstrate is that the development of new and useful organs is occurring today. They also must prove that a process exists that can form new structures called nascent organs, instead of trying to document that once-useful organs now are useless. Evidence for the development of new organs, or those in the process of evolving, would be evidence of evolution. As of now, no evidence of any nascent organ exists. Even the classic example of vertebrate forelimbs referred to by Darwin (and cited in hundreds of textbooks as proof for evolution) has now turned out to be flawed as an example of homology. The reason is that the forelimbs often develop from different body segments in different species in a pattern that cannot be explained by evolution. The forelimbs in the newt develop from trunk segments 2 through 5; in the lizard they develop from trunk segments 6 to 9; in humans they develop from trunk segments 13 through 18.32 Denton concluded that this evidence shows the forelimbs usually are not developmentally homologous at all. As an example, he cited the development of the vertebrate kidney which provides a challenge to the assumption that homologous organs are produced from homologous embryonic tissues. This research supports ReMine’s biotic message theory, the conclusion that the natural world was specifically designed to look like it did not evolve, but was created.35 ReMine uses a wide variety of examples to support his thesis which has been very favorably reviewed by the creationist community. ReMine notes that homology has been used as evidence against a designer for decades, but as this review shows, it strongly supports the biotic message theory. The fact that animals are ‘so similar in their chemical make-up’ has long been used to support Darwinism.37 But extensive biochemical research has revealed that the simplest reason for biochemical homology is that all life requires similar inorganic elements, compounds and biomolecules; consequently, all life is required to use similar metabolic pathways to process these compounds. Most organisms that use oxygen and rely on the metabolism of carbohydrates, fats and proteins must use a citric acid cycle which is remarkably similar in all organisms. Furthermore, the metabolism of most proteins into energy produces ammonia, which is processed for removal in similar ways in a wide variety of organisms. 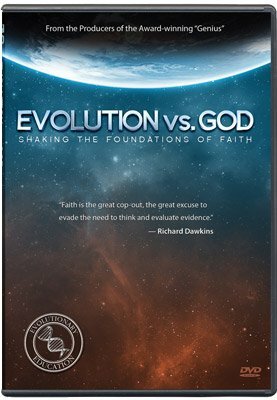 What evolutionists must explain is why billions of years of evolution have not produced major differences in the biochemistry of life. Although many biochemical similarities exist in life, millions of biochemical differences exist that are inexplicable via evolution. Many of these differences do not provide a selective advantage as implied by the claim that Darwinistic mechanisms have fine tuned life for the past 3.6 billion years. Creationists suggest that such differences exist due to the need for ecological balance and because the Creator chose to employ variety. Also, were one compound in an organism to be altered, scores of other compounds with which it interacts would often also need to be changed so that the entire biological system could function as a harmonious unit. According to the evolutionary theory, homologous features are programmed by similar genes. Gene sequence similarity would indicate common ancestry since such similarities are unlikely to originate independently through random mutations. If the bones of the human arm evolved from the same precursors as the wing of a bat and the hoof of a horse as evolution teaches, then we should be able to trace these alleged homologies to the DNA that codes for them. Some geneticists thought this knowledge would allow them to find the chemical formula needed to produce an arm, leg, or other structure. But once biologists acquired a greater understanding of genetics, they found that what are labeled as homologous structures in different species often are produced by quite different genes. requires a credulity induced partly by pressure to conform to a world of science that is saturated with naturalism. I wish to thank Dr Wayne Frair, Dr Bert Thompson and John Woodmorappe for their critical review of an earlier draft of this paper. Denton, M., Evolution: A Theory in Crisis, Adler and Adler, Bethesda, p. 143, 1986. Jones, A.J., A creationist critique of homology, CRSQ, 19(3):156–175, 1981. Hickman, C., Roberts, L. and Larson, A., Integrated Principles of Zoology, William C. Brown, Dubuque, pp. 159–160, 1996. Darwin, C., The Origin of Species, 6th Ed., pp. 434–435, 1872. Wellhouse, W. and Hendrickson, G., A Brief Course in Biology, Macmillan, New York, p. 147, 1928. Milner, R., The Encyclopedia of Evolution, Facts on File, New York, p. 218, 1990. Conklin, E.G., Embryology and evolution; in: Mason, F., Creation by Evolution, Macmillan, New York, pp. 72, 74, 1928. Barr, S.M., Untangling evolution, First Things 78:15, 1997. Dobzhansky, T., Evolution; Genetics and Man, John Wiley & Sons, New York, pp. 227–228, 1959. Milner, Ref. 7, p. 218. Berry, R.J. and Hallam, A., The Encyclopedia of Animal Evolution, Facts on File, New York, 1987. Boyden, A., Homology and analogy. A critical review of the meaning and implications of these concepts in biology, The American Midland Naturalist 37(3):648–669, 1947. Wells, J. and Nelson, P., Homology: a concept in crisis, Origins and Design 18(2):12, 1997. Boyden, Ref. 13, p. 648. Berry and Hallam, Ref. 12, p. 82. Audesirk, T. and Audesirk, G., Biology: Life on Earth, Prentice Hall, Upper Saddle River, NJ, 1999. Jones, Ref. 3, p. 159. Gould, S.J., The heart of terminology, Natural History 97(2):26, 1988. Siddall, M., The Follies of Ancestor Worship, Nature Debates, p. 1, 19 November 1998. Huxley, T.H., The anniversary address of the President, Quarterly Journal of the Geology Society of London 26:XLII–LXIV, 1870. Siddall, Ref. 20, p. 5. From Lewis, R., Human Genetics: Concepts and Applications, 4th Ed., McGraw Hill, New York, 2001. Wells and Nelson, Ref. 14, p. 14. Dawkins, R., Climbing Mount Improbable, W.W. Norton, New York, 1996. Gould, S.J., Wonderful Life, W.W. Norton, New York, pp. 233–234, 1989. Howitt, J., Evolution, Science Falsely So–Called, Christian Crusade, Toronto, p. 27, 1970. Scadding, S.R., Do vestigial organs provide evidence for evolution? Evolutionary Theory 5:173–176, 1981. Bergman, J. and Howe, G., Vestigial Organs are Fully Functional, Creation Research Books, Terre Haute, 1990.
deBeer, S.G., Homology, An Unsolved Problem, Oxford University Press, London, p. 13, 1971.
de Beer, Ref. 31, pp. 8–9. Denton, Ref. 2, p. 146. Dobzhansky, Ref. 10, p. 228. ReMine, W., The Biotic Message, St. Paul Science, St. Paul, p. 457, 1993. Kimball, J., Biology, Addison–Wesley Pub., Reading, p. 547, 1965. Kroeber, E., Wolff, W. and Weaver, R., Biology, D.C. Heath Co., Lexington, p. 483, 1969. Hoagland, C. and Dodson, B., The Way Life Works, Random House, 1995. Hoagland and Dodson, Ref. 38, p. 122. Prescott, L., Harley, J. and Klein, D., Microbiology, Wm C. Brown, Dubuque, p. 87, 1990. A homeotic gene produces a transcription factor that controls the activities of a set of genes needed to produce a complete body structure such as an antenna. Lewis, R., Human Genetics, McGraw Hill, New York, 2001. Wells and Nelson, Ref. 14, p. 15. Wells J., Icons of Evolution, Regnery, Washington, pp. 73–77, 2000. Roth, V.L., The biological basis of homology; in: Humphrey, C. J. (Ed. ), Ontogeny and Systematics, Columbia University Press, New York, pp. 1, 16, 1988. Raff, R.A. and Kaufman, T.C., Embryos, Genes, and Evolution, Macmillan, New York, pp. 67, 78, 1983. Sattler, R., Homology—a continuing challenge, Systematic Botany, 9(4):386, 1984. Milton, R., Shattering the Myths of Darwinism, Park Street Press, Rochester, p. 179, 1997. Denton, Ref. 2, p. 145. Johnson, P., Science without God, Wall Street Journal, p. A10, 1993. Jerry Bergman has seven degrees, including in biology, psychology, and evaluation and research, from Wayne State University (Detroit), Bowling Green State University and other colleges. He has taught at Bowling Green State University (Ohio) and at the University of Toledo. He is now a professor of science at Northwest College, Archbold (Ohio), and is working on a third Ph.D., this one in molecular biology.!!!! !